Here at Sensible Seeds, we explore all corners of the globe to bring you the very best cannabis strains from the world’s leading weed seed banks. 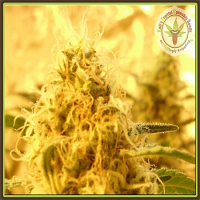 Our extensive collection of over 3000 marijuana seeds includes a wide range of seeds from Dr Krippling Seeds. Dr Krippling Seeds is a cannabis seed bank that has remained committed to combining a number of unique growing and breeding techniques, in order to provide an exceptional range of cannabis seeds that won’t disappoint. Offering a wide range of powerful strains, all of the cannabis seeds featured within this marijuana seed bank have been designed to optimise strong flavours, aromas and effects. 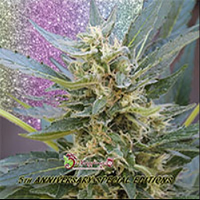 With great flowering times and adaptability to indoor and outdoor growing conditions, these popular seeds have continued to attract beginner and experienced growers from all corners of the world. 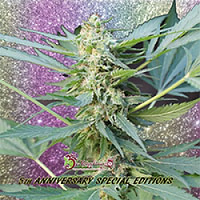 Best sellers in this range include Dr Krippling Seeds Kripple Shock Feminised, Dr Krippling Seeds Ganj-nam Style Feminised, Dr Krippling Seeds Ganji of New York Feminised, Dr Krippling Seeds Pak-Man Feminised. If you require any further information about Dr Krippling Seeds, or any of the seed banks we supply, please get in touch! Our friendly and helpful team is always on hand to answer any of your questions.